Northwest National Real Estate: New Listing! 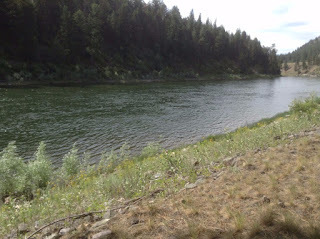 Clark Fork River Frontage! New Listing! Clark Fork River Frontage! Beautiful 1.19 acres with low bank Clark Fork River Frontage for sale. Enjoy the views of the river and surrounding mountains, perfect place to build your dream home, get away cabin or just bring your RV. The well is already in place. Recreational opportunities in the area include fishing, rafting, floating, hiking and watching the abundant wildlife. This is very peaceful setting, located in an area of nicer homes, close to forest grove boat launch, popular raft company and only 15 minutes away from Superior, Montana. This is a must see and priced at just $110,000. Can be purchased separately or as a package deal with parcel across the road. Driveway needs to be put in. Contact Tammy Marquart at Spangler Real Estate 406-360-4516 for more information. Priced at $110,000.